While many of you were doing you're own spring cleaning on a rainy April Saturday, Chapter volunteers splashed their way down to the Calvert Marine Museum to do a little lighthouse cleaning. Volunteers swept floors, dusted and polished. Tom Wade, one of our Lens team volunteers focused on the lens, while others kept busy cleaning the rest of Drum Point. 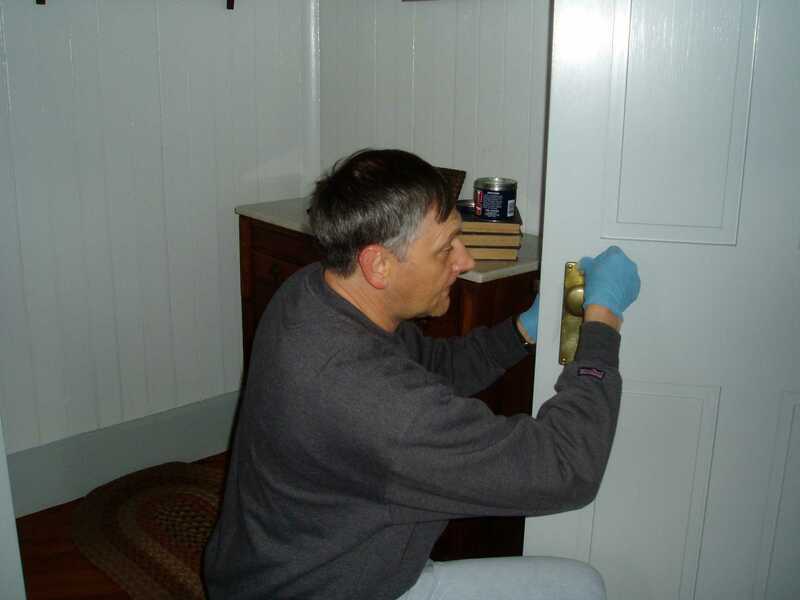 Due to the amount of rain, our work day on Sunday at Cove Point Light had to be canceled. 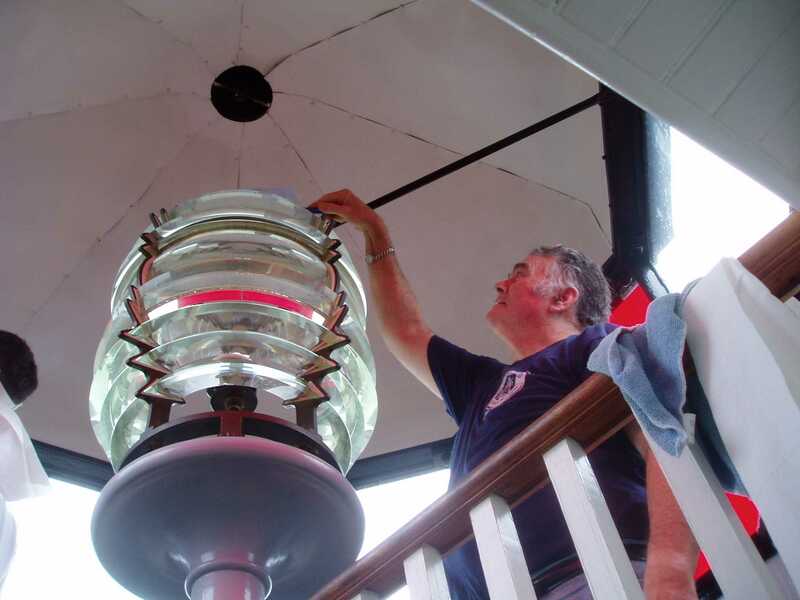 This work is an ongoing commitment to maintain the lighthouse for welcoming visitors at the Calvert Marine Museum. For A Larger View. 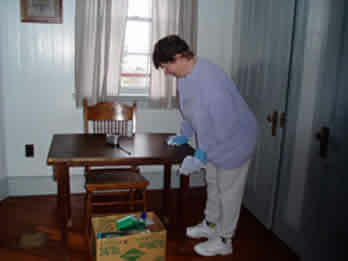 Alma Pasek dusting and cleaning the kitchen at Drum Point Light. For A Larger View. Tom Wade working on cleaning the lens in Drum Point Light. For A Larger View. 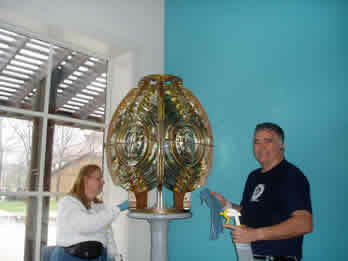 Tom Wade instructs Sandra Sableski on care and cleaning of the lens inside Calvert Marine Museum.